Readers of my reviews may remember my first memory of a Jaguar being my Uncle’s XJ with the pouncing Jaguar on the bonnet. Being a young boy at the time being enclosed in a sea of stunning leather, beautiful carpets and lashings of wood made his car more appealing than my parents’ house. Imagine my excitement then, when I could finally buy my own Jag and I didn’t do things by half either. Instead of buying an X type I decided to go full hog and swap my Porsche Cayman for a stunning XK Coupe. When my friends or so called friends had found out what I’d done they said I would need a pipe and slippers. Going from the best two-seater sports car to a large four-seat grand tourer was beyond them all. The Jag was such a stunning car it made absolute sense to me. The drive to the garage in the Cayman was brilliant as there were loads of winding and twisting country roads. The drive back home in the Jag wasn’t quite as exuberant as the drive in the Cayman. It sounded amazing but it was nowhere near as much fun to drive as the Porsche. Corners just couldn’t be taken with the same speed or confidence at all but still I loved the Jag as it was not only stunning to look at, but it was so sumptuous inside. 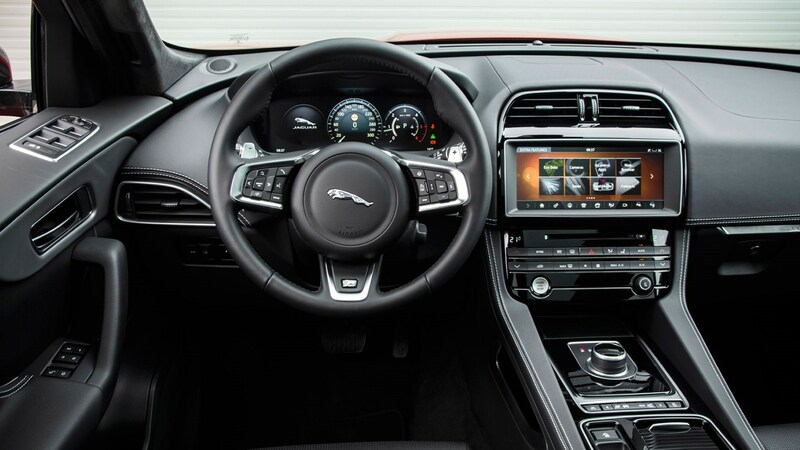 This brings me on to the car I’ve been driving this month, the new Jaguar F Pace is Jaguars first SUV. As with most other manufacturers everyone is desperate to get onto making an SUV as they mean big profits for the manufacturer and we all love them – the F Pace has already become Jaguars fastest selling car in history, priced from £35k, the F Pace has been firmly aimed at the Porsche Macan, Mercedes GLC and the BMW X4. The first thing you will notice is just how sporty the car looks, my car was the R Sport and featured wheel arch filling alloy wheels. My white model with black alloy wheels just looked the business. The standard suspension is quite firm and when you add large alloy wheels the ride becomes harder again. If you’re more interested in comfort, you would be better off sticking with the standard wheels as when coupled with the optional adaptive suspension, the car becomes very comfortable. You have the choice of either a 2lt diesel, 3lt diesel or a 3lt petrol engine. They average 53mpg, 47mpg and 31mpg respectively, although the most popular engine is likely to be the 2lt diesel. The F Pace is priced from £35k for the Prestige and this rises to £52k for the range topping S. Having driven the 2lt diesel before I know it will be not only slow but a very noisy engine to choose. Luckily I was given the 3lt diesel to drive and it was very quick, economical and not very noisy at all. In this small body the engine felt very quick and quiet with wind and tyre noise kept to a minimum, even at motorway speeds. The car’s interior is very plush and it feels very classy. From the rotary gear selector to the two tone leather interior it just smacks of quality. The dash mounted screen controls, the sat nav, all just oozes quality. All buttons and stalks have a real premium feel and the interior is on par with its competitors. There are plenty of cubbie holes for storage and the door bins are a good size, I had plenty of room for my keys and sweets. Passengers in the rear have a decent amount of room although entry into the rear is slightly harder as the rear doors aren’t very wide at all. The F Pace beats all of its competitors with the largest boot in its class with either its seats up or down. The range starts with the Prestige which comes with 18’ alloys, 8’ touch screen, sat-nav, heated seats, part leather seats and dual zone climate control. The Portfolio adds 19’ alloys, xenon lights, electric seats, power boot, panoramic roof, keyless entry and updated speakers. The R Sport also gets a sporty body kit. All models come with a system which detects impending head -on collisions and prevents them. 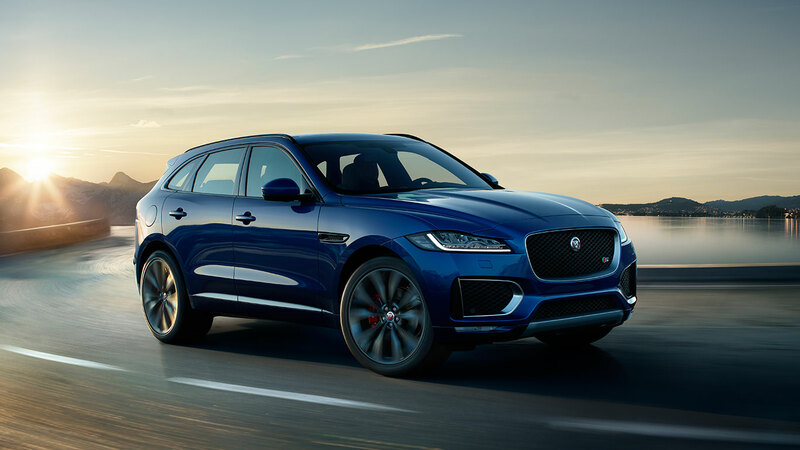 The F Pace is a welcome addition to the booming SUV market. I’m not sure how good it will be to drive off road but I’m sure the closest most drivers will get to going off road will be mounting a pavement.